Yeshe Nyingpo was born in 1631 near the Machu River in the Golok region of East Tibet. He was recognised by the Tenth Gyalwa Karmapa as the Seventh Shamar incarnation. 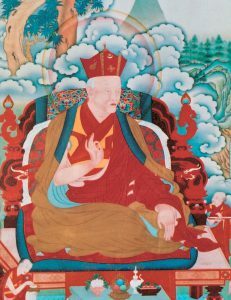 Yeshe Nyingpo’s devotion to his root Lama, Chöying Dorje, was unfaltering and with great diligence and discipline, he followed his instructions. Chöying Dorje bestowed upon him the full transmissions and teachings of the Kagyu lineage which lead the Shamarpa to show many signs of accomplishment in the most profound practices of Mahamudra and Dzogchen. 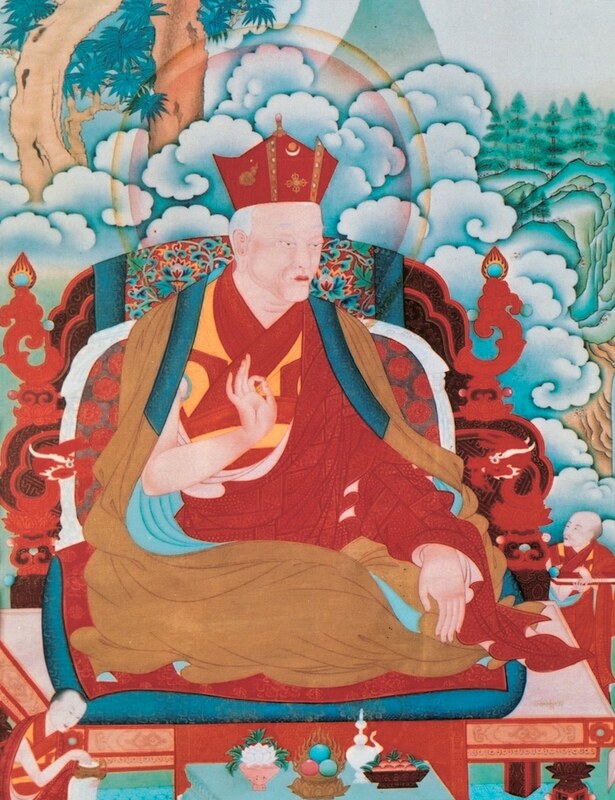 In turn, Shamarpa Yeshe Nyingpo recognised Yeshe Dorje as the Eleventh Gyalwa Karmapa and became his root Lama. Yeshe Nyingpo passed into Parinirvana in 1694.